It’s amazing what a little salt can do to enhance your swimming experience. Say goodbye to red eyes, itchy skin and heavy chemical odors. 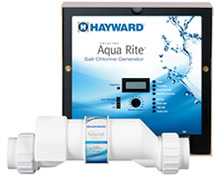 Now there’s an easier, more efficient and cost-effective way to chlorinate your pool and spa. 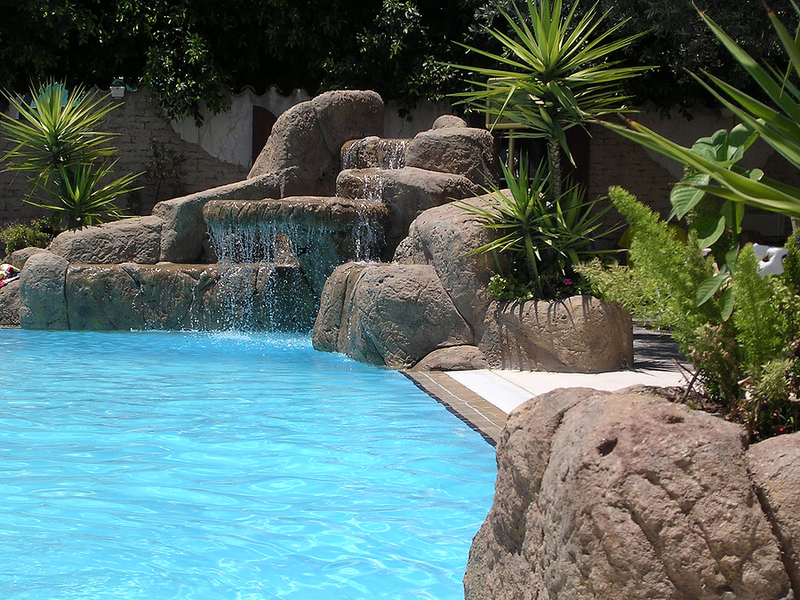 Using ordinary salt that is added to the pool the cell generates pure sanitizer year-round. When the sanitizer has finished purifying the pool it reverts back into salt and the whole cycle repeats. Its advanced electronics and auto-reversing polarity mean very little maintenance is required. Salt pools use between 2700-3400ppm (parts per million) salt concentration to convert salt into chlorine. Swimmers are unable to taste the salt because the levels are similar to the salt content in the human body about 10 times less than the salt levels found in the ocean. Aqua Rite provides complete pool and spa sanitization using ordinary salt. It converts a small amount of salt – approximately one teaspoon per gallon of pool water – into a virtually endless supply of fresh, pure chlorine. This environmentally friendly and self-renewing process produces up to 1.45 pounds of chlorine a day, enough to keep the water in a 40,000-gallon pool clean, clear and luxuriously soft. 1. Salt water pools solve the problems of dry skin damaged hair and red eyes. 3. Many people believe that swimming in salt water swimming pools feels more natural than traditional chlorinated pools. 4. Eliminates having to add additional chlorine to the pool. 5. A chlorine pool can be converted to a salt pool simply by adding salt to the existing water and installing a salt cell and generator. 1. The cost to purchase and install a salt system is about $1500 (more expensive the chlorine). 3. Salt is easy on the body but hard on the pool equipment (salt attacks metals in your pool and pool equipment). 5. Salt cells only generate chlorine when the filter pump is on. In some cases the filter pump may need to run for a longer period of time each day to create enough sanitizer. In the final analysis after personally maintaining, repairing and installing salt generators since the mid 90’s I’ve come to the conclusion if you don’t have health issues stick with traditional chlorinated water. But If you have adverse reactions to chlorine such as dry skin and hair then a salt generator may be the way for you to go. Please call me personally if you have any question or would like to discuss having a salt system installed in your pool.